Today is a day of deliberate detours. 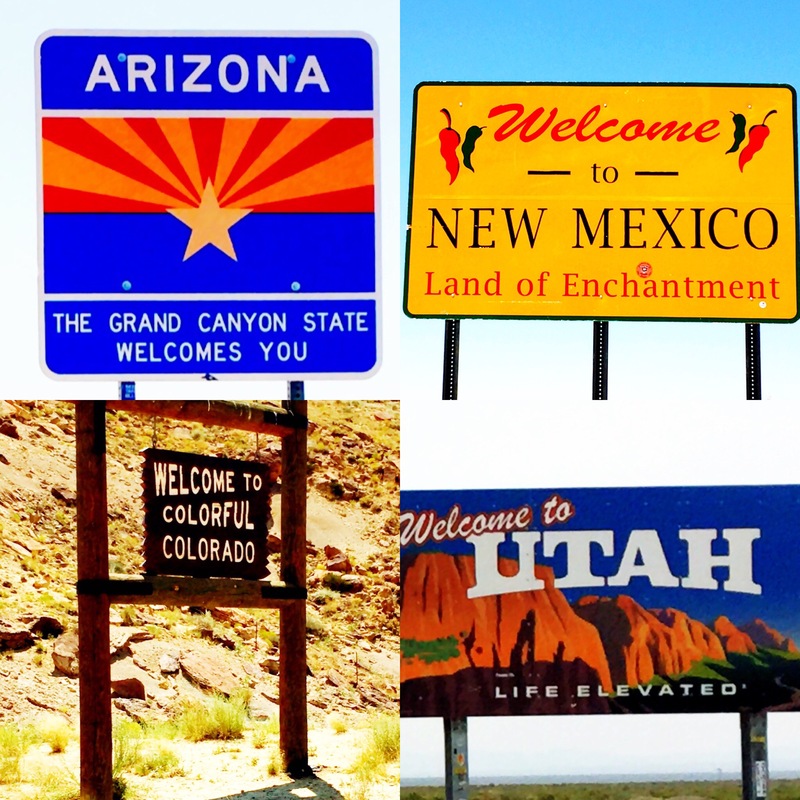 While I was planning this trip I noticed how close we are to the spot where Utah, Colorado, New Mexico and Arizona all meet. Naturally I want to stand on that exact spot. Somewhere I read this is the only point in the US where four States meet. I didn’t verify the information, so let’s just roll with it. First we are leaving beautiful Canyonlands National Park behind us. Sigh. I REALLY liked it here. I don’t remember what I expected, but this has been a beautiful place. Always moving forward, off we go. Now to get to the Four Corner Monument, we are driving some seriously deserted roads. We are actually getting pretty good at driving to the most remote areas. Cell phone reception is a hit or miss (usually a miss), so we TOTALLY rely on our survival skills: lots of water in the trunk, salted snacks in the front and hope for the best. We zigzag across all four States and finally make it to the Four Corner Monument. You may think (well, I did), with this being so remote, we’d be the only ones… Well, let me say, you and I both think wrong. We have to line up (!) to take our photos. Oh well, we are on vacation. One thing we have is time. 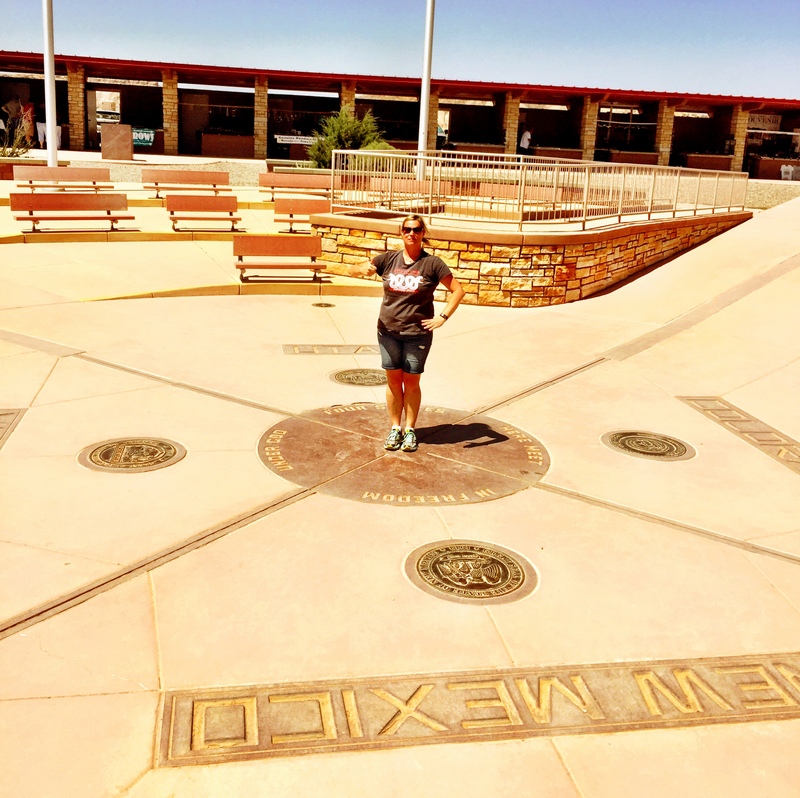 Yes, standing in four States at once! 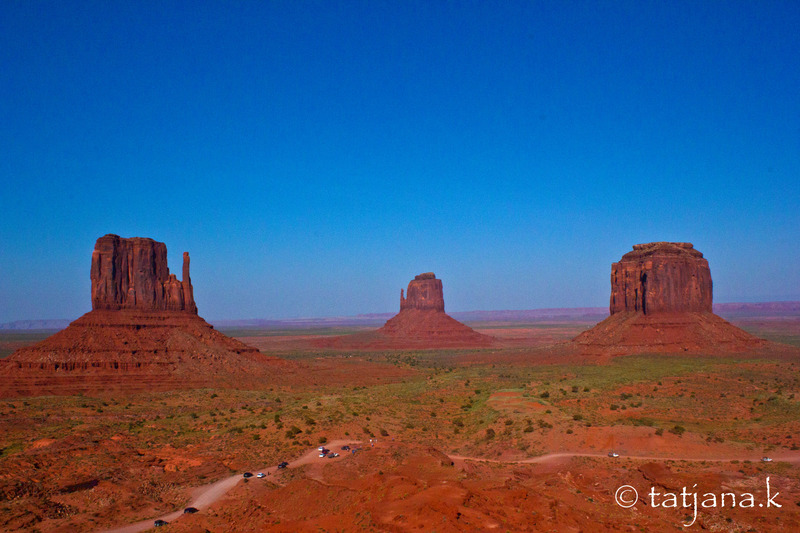 After the photo shoot we continue our route on to Kayenta, Arizona. This is the day where I am totally not sure which State I am in at what time. Technically Arizona is on Pacific Time, the rest on Mountain Time. It’s best to just ignore this as we zigzag around. Then we arrive in Kayenta and according to our map it looked BIG, but all we see is 3 hotels, 4 gas stations and a restaurant. The population of 5,189 must have a good place to hide. With our recent success of sunset photos (and the fact that there is nothing else to do in Kayenta), we decide to hit Monument Valley tonight, so we can capture the beautiful red evening color. 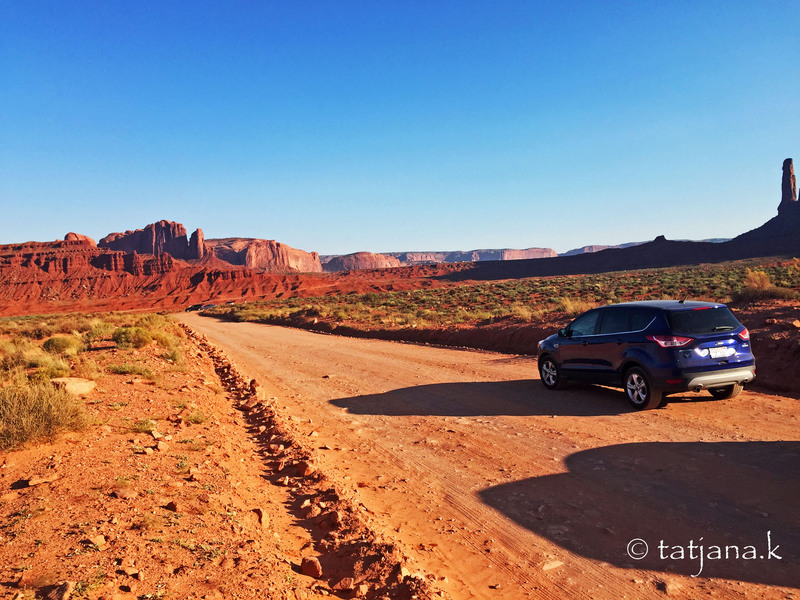 To see all of it, we need to get on an unpaved road and – unbeknownst to us – take the car for a first test drive off-road. This unpaved road is a little more tricky than it looks if you don’t have a 4×4. So I just trail a Mustang. If the Mustang makes it my little SUV can make it! 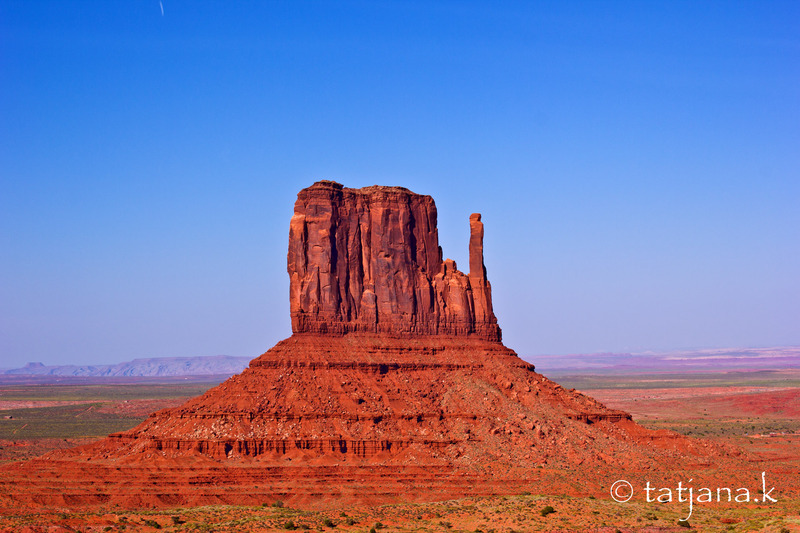 This entry was posted in USA Travel and tagged arizona, colorado, four corner monument, kayenta, monument valey, new mexico, utah.